The best of everything about pets; which dog is best, dog food ratings, cat foods, animal care and more. Where to Find Pet Insurance? Covers Illnesses accidents and injuries. X-Rays, MRIs and Cat Scans. Surgeries. Cancer Treatments. Prescription Medications. After Hour Emergency Visits. Specialists. Acupuncture. Chiropractic Therapy and Hosptilization. Costs start at $22.00 per month and cover 80%, after deductible ranging from $100 to $500. After Deductible is met, the really expensive things are 80% covered: Vet and Emergency Visits, Lab and Diagnostics, Surgery, Prescriptions, Treatments, Hospitalization and outpatient care. The lifetime limit ranges from $42,500 to $100,000, depending on your deductible. Ouch, can you imagine ever having costs that exceed $42,500 for just one pet? I would guess none of us have ever come close to that (knock on wood) Aside from deductible coverage, routine care is provided: $50 for annual exams, $100 for spaying/neutering, teeth cleaning; $60 for blood tests, $25 for heartworm tests, $15.00 for stool testing, $25.00 for urinalysis. This is a plan that really could provide you some peace of mind. If a $5,000 surgery is needed, your portion of the cost would be $1,000 plus your deductible. At $22.00 per pet, though, You’re going to pay a minimum of $22.00 per month or $264.00 per year to get this coverage (and that doesn’t include your deductible) to get 80% coverage. I’ve been lucky with my pets, but I can’t see this type of medical insurance being worth the cost for me, personally. This one truly looks like nothing more than a disaster insurance plan. I got a price quote for my 8 year old male cat online. The monthly premiums are $22.00 and the deductible is $500. What is covered: In case of sickness or injury? Surgeries, diagnostics, Lab work medications. What is not covered? routine care, exam fees and pre-existing conditions. Coverage is 90%. In other words: In summary, unless your cat or dog has an unusual or emergency illness, you’re going to pay at least $264 per year to prepare your pet for an emergency surgery or medical condition. In addition that, you will still pay for the cost of routine care, such as regular vaccinations and check-ups. Let’s say your pet requires an emergency surgery that costs $1,200. You’re still going to have to pay the $500 deductible, plus 10% of the surgery: $620.00. Add the cost of the $264.00 in premiums for just one year, and you’re already up to 74% of the surgery. Unless, you are the type who is obsessed over things you have no control over, I’d look for a cheaper plan. Pet Assure is basically a discount membership card for pets. The discount is normally 25% for medical and up to 50% off of other things such as pet supplies and pharmaceuticals. The cost is $59.00 per year for cats and $99.00 per year for dogs. What is covered? Routine care, exams, surgeries, speying, shots, neutering, hospitalization. There are some exclusions on things you take home such as medications, boarding and lab work done outside of the vet’s care. While this is basically a cheaper form of pet insurance, Pet Assure considers their program a more cost effective alternative. Using some quick math based on the 25% savings, I estimated that I would have to spend about $472 a year per cat in medical bills to save the $59.00 per year spent on the Pet Assure membership. 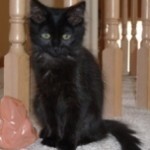 In a normal year, shots and occasional exams needed for my cats usually only cost me $180-$220.00. It’s hard to say if the savings on pet supplies, medicines and other products would make this membership worthwhile. At 25%, it certainly doesn’t take the place of catastrophic pet insurance if that’s what you want. It’s difficult to assess how much money you can or will save on an insurance plan you hope to never use. The value of true pet insurance is peace of mind. Don’t expect to come out ahead dollars-and-cents-wise on a Petco Trupanion plan if your pet never encounters an emergency need. Cheaper insurance plans don’t give you that same peace of mind, but if you’re thrifty, like to shop for savings, and your cat or dog seems to need frequent trips to the vet for routine care and procedures, you might look for one of the discount card plans like Pet Assure. The bottom line, though, is that there is no such thing as cheap pet insurance. Does Ssscat Cat Repellent Spray Really Work? 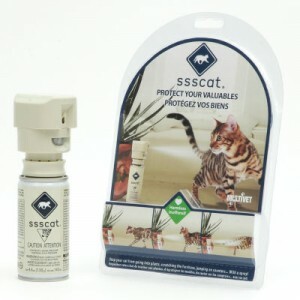 Ssscat Cat Repellent Spray is designed to keep your cats off or away from places you don’t want them – like your plants, kitchen cabinets and other off-limit areas, for instance. If you wish there was a way to keep your cat out of the kitchen; away from the garden, off the counter-tops or off of your furniture, you owe it to yourself to look into a Cat Repellent spray for your cat training purposes. There is another good reason for cat repellent spray: Has your cat decided to use a portion of your house as his/her litter box? There is nothing that smells worse or is more difficult to get rid of than cat urine on your carpet. Well, okay, I’d say skunk odor has a significant edge over cat urine, but that’s a different topic for another day. In fact, if you have pets it is worth discussing Skunk Repellent and I’ll explain why in an upcoming article. Meanwhile, let’s get to the issue at house: How to keep Cats away from and off of certain areas and places in and around your house. What products out there succeed as a useful, affordable and practical Cat Repellent Spray? Several weeks ago, we brought our 8-year old male cat back from the vet. Our young, female cat immediately sensed that he smelled different and became terrified of him. Weeks later, we began noticing the odor of cat urine. One day my wife called me while I was at work to report a cat owner’s worst nightmare: Our nervous female cat was using our dining room floor as a cat box. The tedious task of solving this maddening Cat Urine problem had just begun. From our past experience, breaking a cat of this habit is not an easy thing to do. The first thing to do is to completely remove the odor. As long as an infected area of your house continues to smell like cat urine, your pet will continue to use it. We had to take action. First, we got the carpets as clean as we possibly could, then we began saturating the area with enzymes to remove the odor. We used a product called, Anti Icky Poo. There are plenty of other similar products out there such as Nature’s Miracle and Urine Destroyer, but the Anti Icky Poo seemed to have the best reviews. I was confident we could get the area cleaned and odor free, but I knew the hard part would be to deter the cat from coming back to it. This is where the Cat Deterrent and Cat Repeller part of the job come in to play. I began searching the web for the phrases, “cat repellent”, “cat deterrent” or “cat repeller”. My research led me to a couple of ideas that I could utilize immediately without spending a dime. Most of these cat repellent sprays can be purchased at pet supplies stores locally or online with small shipping costs. When a cat stops using a cat box in favor of your carpeted floor, you have to wonder why their original bathrooms are no longer comfortable or desirable? One of our cat boxes was located in the laundry room; and the other in the basement near the furnace. Both of these areas are noisy when those appliances are used and could definitely deter cats that scare easily. Drastic problems call for drastic measures. I now have 4 cat boxes in the house and keep them pristine clean. I chose Ssscat. Ssscat Cat Repellent is simple enough. It is an ozone friendly aerosol can of compressed air that attaches to a motion sensor powered by aaa batteries. When the cat gets too close to Ssscat, it emits a shrill, fast spray of air to scare the cat away. Over 168 Amazon users reported that Ssscat did a satisfactory job as a Cat Repellent and training method for deterring cats to stay out of, around, or off unwanted areas or surfaces. At one time, the Ssscat product included an Ultrasonic Cat Deterrent alarm as well as the compressed air. I think the makers of Ssscat wised up after they realized the Ultrasonic Alarm, alone, was enough to deter cats and there would be no reason for people to re purchase the aerosol cans which cost about $10 a piece. Fortunately, the $35.00 Ssscat product with the compressed air was enough to scare my cat permanently way. I was not happy with the range of Ssscat at first. It seemed that a cat or a human would have to step right in front of it in order to activate it. Fortunately, it only took one or two times for Ssscat to instill fear in my own cat. Out of curiosity, the cat followed me as I walked right up to Ssscat trying to get it to work. Suddenly,the whiff of air sprayed me in the shin; scared the dickens out of me and the cat was gone in an instant! The next the air can went off was the last time I have ever seen the cat in that area. I remain amazed that a simple can of air makes the best cat repellent. It really works. 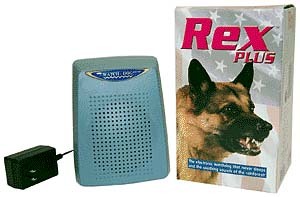 My problem is solved, though I still keep Rex the Barking Dog armed and ready in case my cat ever forgets about Ssscat Cat Repellent Spray. The one option I haven’t tried, but am curious about is the Ultrasonic Cat Deterrent product. If you’re curious read on. Cats can hear noises at a much higher pitch than humans. An ultrasonic cat deterrent is a device which emits an alarming, high pitch sound that will startle the cat without annoying humans. The key is an ultrasonic alarm which is set off by a motion detector. I had often wondered if there was a such thing as a motion sensitive Ultrasonic Cat Deterrent and as luck would have it, there are a few of these devices made. There are various models of Ultrasonic Cat Deterrents. Some are made for the outdoors and some made for the indoors. CatScram is a motion repellent using the same ultrasonic cat frequencies as the Ultrasonic Cat Deterrent above, but this one is small, portable and made for the indoors.CatScram is billed by it’s manufacturer as an Ultrasonic Training Device. The key is to tackle the problem in three ways: Clean-Up, Training and Prevention. Get the soiled areas clean and odor free. Meanwhile, re-train your cats to use the cat boxes. That means making cat boxes feel safe, convenient and easy to use for your cats, too. Next, get two types of alarms to protect the areas. Get an alarm that you can hear, and one that your cat can not only hear but wants to avoid. Products like Ssscat, Catscram and other Ultrasonic Cat Deterrents are excellent for the Training and Prevention part of Cat Urine catastrophes in and around your home. As for the title, “Is Ssscat a good Cat Repellent?” Yes, but you will be required to buy refills. Hopefully, the Ssscat Cat Repellent Spray will work well enough that your cat won’t have to be reminded too often. How safe is it for the environment? Can it be flushed? Worlds Best Cat Litter claims it does all 6 of these things better than any other cat litter product. So, is it really this good? Worlds Best Cat Litter is made from … Whole Corn. Are you freaking kidding me?! Corn? No kidding, and the company says this is the secret ingredient that makes their cat litter so tasty. Kidding aside, if you clean enough messy cat boxes full of this tasty vegetable, you’ll probably never eat another cob of corn in your entire life. While that might be a drawback, apparently the whole corn stops odors in its track, clumps together and cleans up and scoops better than all the others. If that’s not enough, the 100% natural corn ingredient is environmentally safe. Worlds Best Cat Litter is biodegradable, easily flushed and safe to breath. It all sounds good, but what is the impression of owners of Cats that have used Worlds Best Cat Litter? Perception is reality. What looks, smells, tastes or works good in theory doesn’t always translate to the real world. I researched and skimmed over 200 users from Amazon, Petco, Petsmart and Pets Direct to get a bottom line analysis. Do the hyped up claims and brand name match the results? Probably not. Out of 200 users, Worlds Best gets an average rating of 4 out of 5 stars. While that’s a respectable B grade, it certainly doesn’t come close to a brand that claims to be the very best. What’s most troublesome is what cat owners are saying about the litter. The number one complaint is odor. A great number of users reported that it does a terrible job of eliminating odor and in fact smells like sour, rancid corn. Yuck. One of the other common complaints is that the litter seems to get tracked throughout the house. On the other hand, users say that it really is a very good Clumping Litter and is completely flush-able. A couple of complains some people have that this brand has changed it’s formula and is no longer of the same quality since the color of bag was changed from light to dark. It’s hard to know for sure, but its something to keep in mind. Based on User experience, Worlds Best is a B-Rated Cat Litter that fails to live up to its hype. “You don’t know jack about Dog Food unless you’ve tried Bil Jac Dog Food.” Or so, this is what satisfied Bil-Jac-Dog-Food-buying-dog-owners have told me. When I did my Dog Food Reviews and Comparisons over a year ago, I completely over looked this brand of dog food which a great number of dog owners seem to love. A few, rather disgruntled dog owners let me know that any Dog Food Ratings that didn’t include Bil jac was not worth the cheap LCD computer screen it was typed on. For some reason, Bil Jac dog food was not on my list of premium brand dog foods. My research brought me to brands like Evangers, Innova, By-Nature and Wellness, but by Jove, there was no Bil Jacin the mix! When I looked online for premium brands of dog food, the name didn’t come up at all. Yet, if you do a search for well-liked, appreciated brands of dog food, Bil Jac is at the very top. Perhaps, the other reason Bil Jac Dog Food does not come up too often is because it’s hard to find. I decided it would be well worth my time to provide some information on the product and where it can be bought at prices that are quite reasonable. But first of all, what is it that people (or dogs) like so much about it? The one thing all dog owners seem to agree on is that their dogs love the taste of Bil Jac Dry Dog Food. Dogs tend to get a little pickier about dry food as they get older, but this doesn’t seem to be the case when you are feeding them Bil-Jac dry dog food formula. So, what is in Bil Jac Dog Food that makes it so tasty? By-Products! While, the advertisers of more expensive premium brands boast how their dog food contains no by-products, Bil-Jac does just the opposite. The very first ingredient is Chicken By-Products (Organ meat only). Now, the way I see it, by-products in the form of organ meat cannot possibly be bad, especially if you’re a dog. When an animal eats in the wild, do you suppose they carefully eat around the insides and pick out only the flesh? Of course not! Dogs in the wild eat the entire animal, organs and all. Those by-products are full of natural nutrition and vitamins that your dog is likely to not get enough of from the meat of an their kill, alone. By-Products may get a bad-rap based on other unhealthy grains, scraps and harmful ingredients they be contained in the processing of the food, but this isn’t the case with Bil-Jac which contains only organ meat. In addition to by-products, Bil-Jac does contain some real chicken meat, as well as vegetables, molasses, salt and plenty of essential vitamin supplements like Niacin, B12, Folic Acid, etc., etc. What you won’t find in the ingredients of Bil-Jac Dog Food is any of the dreaded corn, wheat and grains that really don’t belong in a dog’s diet. What’s wrong with by-products if they’re in the form of natural organ meat? The answer is, absolutely nothing. In my estimation, not only is Bil-Jac an extremely healthy food, but dogs love it because it contains the natural by-products their bodies want and need. It seems to me that some of the uppity, higher-class dog food companies are spending so much time making their dog food fit for human consumption that they are forgetting it’s not for us – it’s for our dogs. Bil-Jac is a 5-Star Dog Food. Which Make Better Pets? Dogs or Cats? Don’t make the mistake of choosing the wrong pet. It might seem a little out of the ordinary to do a comparison pet review, but that is exactly why I decided to do a review on dogs vs cats. There really is nothing too ordinary about Product Review Ratings. I strive to keep things different and to offer, perhaps, a slightly different perspective for consumers and the products they seek. Besides, when someone tells me I can’t do something, I take that as a challenge. So, when I heard, “You can’t put a rating on people’s loving pets!”. My response is, “Oh yeah, watch me do it.” There are other reasons. Over the years, I’ve observed that there is a bias against cats in our society and it is mostly caused by ignorance or lack of experience with cats. Have you ever asked a dog owner if he/she likes cats, then been told, “No. I’m a dog person.” (As if you can’t like them both)..Very illogical reasoning isn’t it? To suggest, “I’m a dog person, therefore I can’t like cats”, is like saying, “I like hamburgers therefore I can’t like Hot Dogs.” Considering many people do have both cats and dogs and enjoy them both equally as pets, you wonder why they still use this, “I’m a Dog Person Excuse.” This argument also seems to suggest that cats and dogs don’t get along. This is totally untrue. Cats and dogs that are raised together and accustomed to living around each other make very good friends. I’ve seen my cat hanging out in the neighbor’s driveway with her two dogs quite often. My deceased, Yellow Lab and Cat, Carson (pictured left) were best friends. I think the real reason that non-cat, dog owners say they are a dog person is simply because they never owned a cat. They don’t know cats. I asked this question of my co-worker who told me he was a dog person. His only answer was that he never owned a cat except when he was a small, child and he didn’t remember much of it. I answered, “If you never owned one or remembered owning one, how do you know you don’t like cats? ” He answered, “well, my wife doesn’t like cats”, to which I asked, “Why doesn’t your wife like Cats”, to which he answered, “Well, she’s a dog person”…..ahh, get the picture? My own wife, who has loved cats for the last 25 years, was also one of these persons who thought she didn’t like cats. She admits that she was afraid of them because she didn’t understand them. I’ve known many other dog owners who changed their mind once they got to know how wonderful these creatures are as pets. I don’t think cat owners without dogs display this same bias and ignorance of dogs. Usually, cat owners love both animals. The only reason that most non-dog-owning cat-owners don’t have a dog is that they don’t have the time or yard-space to give one the attention it needs. Cats are the more independent creature, so naturally, some people who really prefer to have a pet, make their choice a cat. Cats don’t come with many restrictions, which is not to say they aren’t lovable, worthwhile pets. Cats or Dogs? No, it’s not an either-or proposition, but let’s get onto the comparison review, anyway. Which is Cuter? A Kitten or a Puppy? Which animal is smarter? A dog or a cat? I think dogs have more of a human intelligence. They can show shame and embarrassment when they do something bad. Cats just look indifferent when you make them mad, as if to say, “yeah, what of it?”.. Dogs can learn tricks and be taught to obey. There are people who say they can train their cats, but I have yet to witness this miracle first hand, so I remain skeptical. Most cats are not nearly as trainable as dogs. Cats, though they don’t exhibit some of the same train-ability and obedience of dogs are just as intelligent, but in different ways. Cats can survive and hunt on their own. What they don’t show in emotion, they make up for in reasoning. For example, getting just close enough to a fierce looking dog, but calmly staying out of harm’s way as it goes crazy barking. I have a cat who hates shots and knows the vet when he sees her. All she has to do is walk in the house, and he’ll find an immediate place to hide. Our yellow lab, on the other, loved it when the vet came over because it meant extra attention. She would tolerate a shot for some extra human attention any day of the week. My Yellow Lab would also somehow be able to sense several minutes ahead of time when guests were about to arrive. We were amazed by this feat many times. A great deal of a dog’s intelligence is the ability to track your scent. This is another contest that’s too close to call. For once, I think we have a clear winner. Dogs get the sizable nod here, but not by as much as you might think. Our loyal, yellow lab once gave up her breakfast and eating all day to sit by my wife’s bed side when she was sick. On the other hand, a cat of ours once spent the entire day by my side comforting me when I laid in bed with a ruptured disc in my neck. Still, there is nothing like a dog when it comes to loyalty. Dogs will give up their life for you. The cat has it’s limits with loyalty. Nothing could be easier than taking care of a cat. Kittens, as young as 6-8 weeks old, use the litter box the instant you take them home. Some dogs learn quicker than others, but most of them take several weeks to potty train. You can leave cats at home for a few days on their own, with their litter box, water and dry food and they’ll be fine. Dogs are like your little kids. They need constant care. However, some of this advantage is offset by the fact that Cats don’t like to go places with you when you need them to. You can’t just put them on a leash and walk them around. Expense wise, dogs are probably a little more expensive to keep and maintain, especially if you choose a big dog. Big dogs can protect your house and warn you of danger. Cats are better at just hiding when danger is near. The average life of a dog is 12-16 years. Cats 16-21 years. I used to think that it was much sadder saying good-bye to an old dog than it is a cat. That sentiment changed after I had a couple of cats that lived to a very old age that we had to put down. I’ve had two different cats that made it to age 21. Both cats and dogs are pets that we become equally attached to. We make them part of our lives and they love us back in return – but in different ways. Also, you may leave your own comments at the bottom of the page.